Pierce Brosnan can boast a legendary acting career, complete with a role-of-a-lifetime run as James Bond in four films about the super spy, but away from his epic onscreen adventures, successive tragedies plagued Brosnan throughout his life. 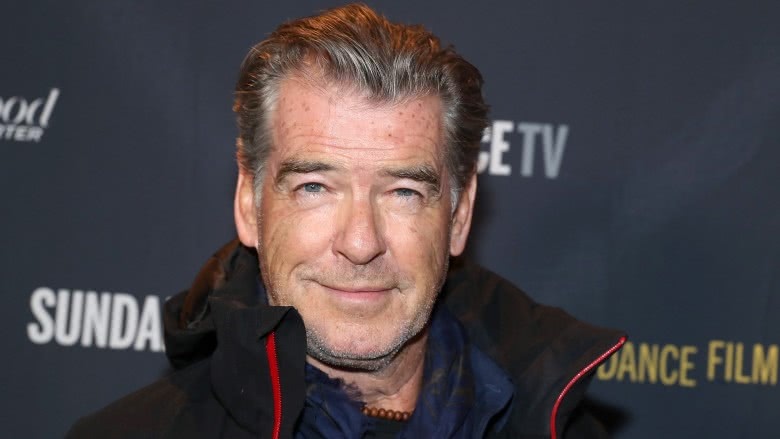 Born into a working-class Irish neighborhood, Brosnan's hardships began at birth when his father abandoned him, and his mother had to leave him in the care of others while she found work far away from the family. When Brosnan started a family of his own, the cruel twists of fate continued, as he lost both his first wife and daughter to cancer and nearly lost his son in a horrific car accident. Professional hardships and more loss continued to challenge Brosnan, all of which left him a man who doesn't "look at the cup as half full," as he told Esquire in 2017. Shake — don't stir — yourself a martini (or two) as we take a look inside Pierce Brosnan's tragic life story. In 1991, the unthinkable happened to Brosnan. His wife, Cassandra Harris, died after a four-year battle with ovarian cancer. The slow decline in her health and her eventual demise nearly ruined Brosnan. "This is the first time in my life I've ever experienced bereavement, and it's overwhelming," he told People in 1992. "Such things draw a mark across your heart and it's always a part of your life," he told the Daily Mail in 2013. "To watch someone you love have their life eaten away — bit by bit, by this insidious and horrid disease — becomes an indelible part of your psyche." 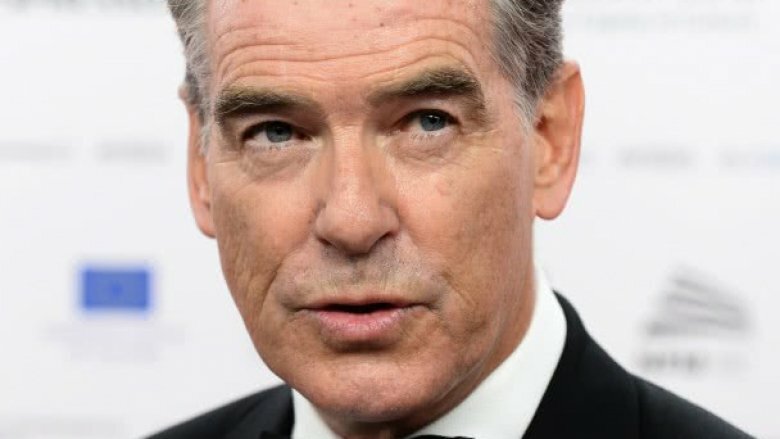 Brosnan and Harris were married for 11 years and shared one son together, though he adopted her other children from a previous marriage, according to the Mirror. Some years later, Brosnan met his second wife, Keely Shaye Smith, and the pair tied the knot in 2001. Smith was instrumental in helping Brosnan grieve, but the Remington Steele actor noted, "The memory of Cassie and her fight against cancer is never forgotten." Brosnan added. "I think of Cassie all the time — my son Sean is also her son … I suppose Keely is my North Star, always looking out for me." 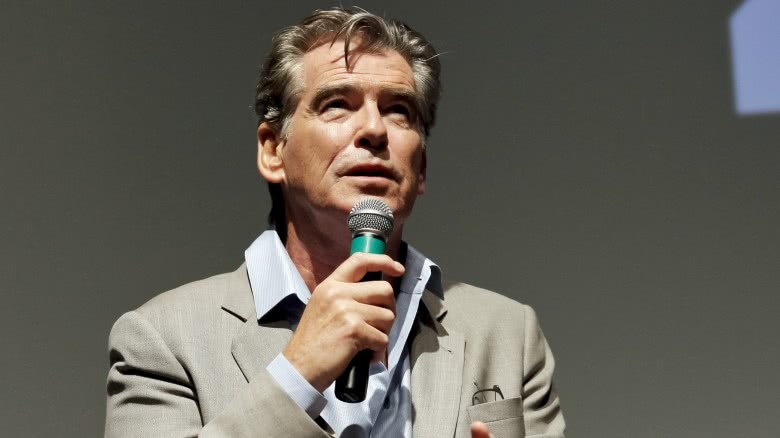 Tragedy struck Brosnan's life again in 2013 when his daughter Charlotte passed away. Like her mother, Charlotte lost a long battle with ovarian cancer. "On June 28 at 2 p.m. my darling daughter Charlotte Emily passed on to eternal life," Brosnan said in a statement (via People) that also pleaded for a "cure for this wretched disease." Brosnan stated that Charlotte was "surrounded" by loved ones when she died, and that their "hearts are heavy with the loss of [their] beautiful dear girl." Charlotte was just 41 years old. According to the Mirror, the days and weeks leading up to Charlotte's death weren't all difficult. Brosnan was there to walk his daughter down the aisle as she married her longtime boyfriend Alex. The ceremony was private and it took place two weeks before the end. Charlotte's then 15-year-old daughter Isabella was a bridesmaid. An insider told The Sun (per the Mirror), "It was the most moving day of my life. It wasn't a day to be sad. Alex and Pierce were smiling broadly." Pierce Brosnan nearly lost his son in a 2000 drunk-driving accident, according the Los Angeles Times. In what could have been a fatal accident, Brosnan's then 13-year-old son Sean Brosnan barely survived after suffering "multiple fractures and spinal injuries." The accident occurred when the driver, identified as Sean's cousin James P. Hall, "swerved to avoid a large rock," at which point the vehicle veered off a mountain road, falling 150 to 200 feet. Authorities used baskets and ropes to rescue Sean, James, and two other passengers from the scene. Pierce rushed to the scene and remained by his son's side the entire time. He thanked emergency responders (via The Malibu Times) for "taking my son and his friends from the jaws of death." Hall was eventually booked "on suspicion of felony drunk driving." Years later, the incident still plagued Brosnan. He told the New York Daily News that he nearly turned down a role in The Greatest because the character's son dies in a horrific car crash. He eventually took the part, but noted, "it was hard to go to those deeper places in my heart." 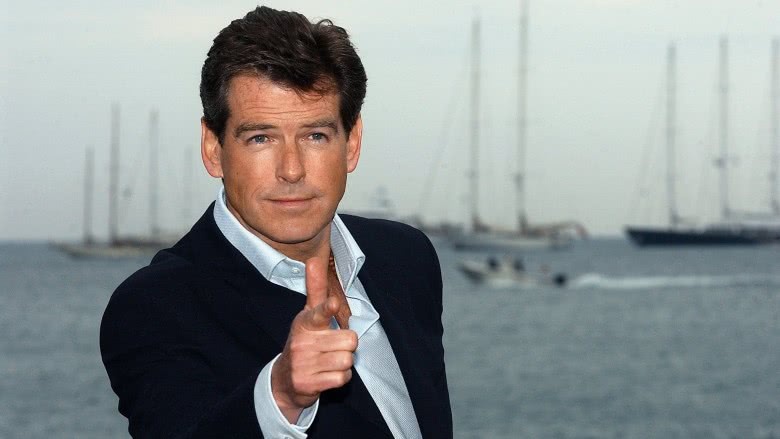 Shortly after Brosnan was born in a small Ireland town, his father abandoned the family, and his mother relocated to London for better work opportunities. As a result, he was left to live with relatives, and at one point, in a boarding house with strangers. "There were two lodgers — workingmen, one in the factory and one in the sawmill," Brosnan recounted to Esquire in 2017. "I had a metal bed with a curtain around it. That was my room and my haven and my space." Brosnan's only meeting with his father, who he refers to as Tom, was in 1984. "I had a Sunday afternoon with him," Brosnan told Esquire. "A story about this and that, had a few pints of Guinness, and we said goodbye. I would have loved to have known him. He was a good whistler and he had a good walk. That's as much as I know about him." Brosnan later channeled that experience of having an absent father into a role for The Son. "My fatherly instincts are purely my own," he said of the role that dealt with troubled relationships between fathers and sons. "They relate back to no one, there was no one." 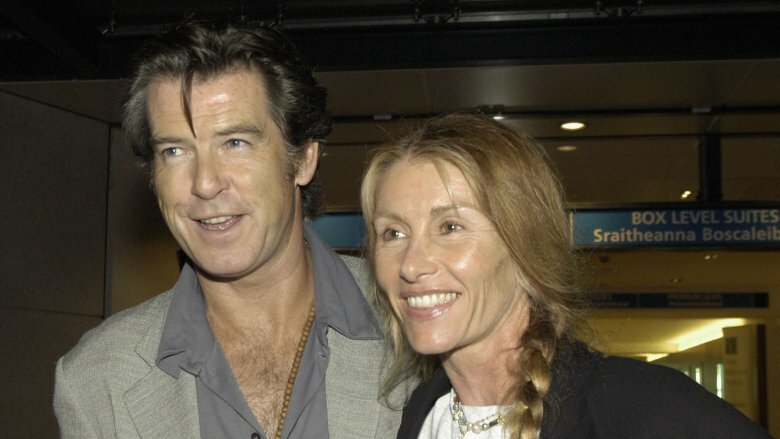 As we previously mentioned, Pierce Brosnan spent a significant part of his childhood separated from his mother (pictured above), who relocated to London to find work. Once there, she completed nursing school, at which time she and Brosnan rejoined, according to CBS' Sunday Morning. However, it wasn't immediately kumbaya after that. Their South London neighborhood, described as "gritty" and "rough" by modern Londoners, allegedly wasn't very hospitable to an "Irish country boy" like Brosnan. "You feel that bit of prejudice, being a Mick, being a Paddy," Brosnan told Sunday Morning. "They couldn't say my name. They didn't want to say my name, Pierce. So I was known as Irish. Which I wore as an emblem." The Mamma Mia! star said that he even hid his accent "to assimilate." "So the Irish got buried," Brosnan continued. "The culture of who I was, and the boy, got buried." Granted, he would go on to become an A-List star and headline a respectable chunk of one of the most profitable film franchises of all time, but the sting of his tragic childhood has apparently stuck with him throughout his life. 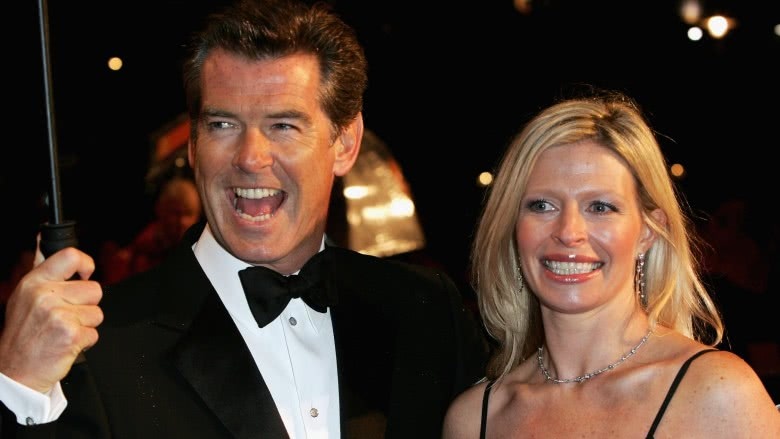 As if losing both his wife and daughter to ovarian cancer wasn't enough, Pierce Brosnan lost yet another loved one to the disease — his longtime producing partner, Beau St. Clair (pictured above). According to Deadline, the 63-year-old producer died in January 2016 "after a 10-year battle" with the illness. St. Clair and Brosnan founded Irish DreamTime together in 1996. 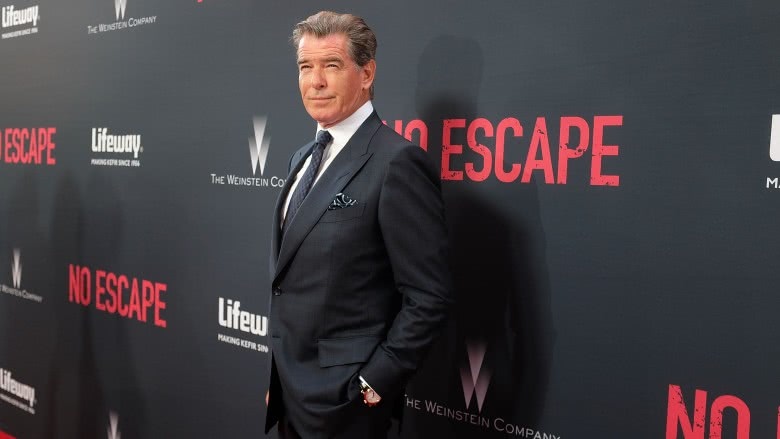 The production company was responsible for some of Brosnan's biggest post-Bond hits, like The Thomas Crown Affair (1999) and The November Man (2014). 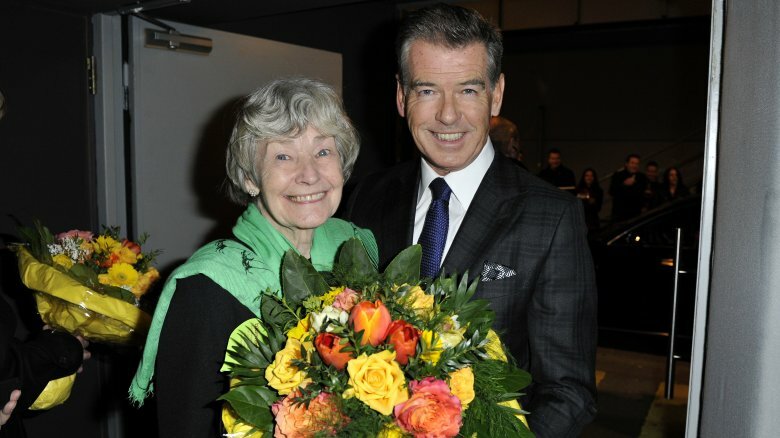 Of her working relationship with Brosnan, who she knew personally for three decades, St. Clair once said (via The Hollywood Reporter), "We complement each other pretty well." Brosnan was much more effusive in praise of his "dearest friend," saying in a statement (via Deadline), "[She] was a beautiful woman in every way. She had style, grace, humor, intellect, and a kind heart that I will forever miss. … Making films together was our dream come true. Beau Marie will be missed by all who were fortunate enough to know her." Pierce Brosnan was the straight man to Robin Williams' outrageous granny-drag character in the smash 1993 blockbuster Mrs. Doubtfire. 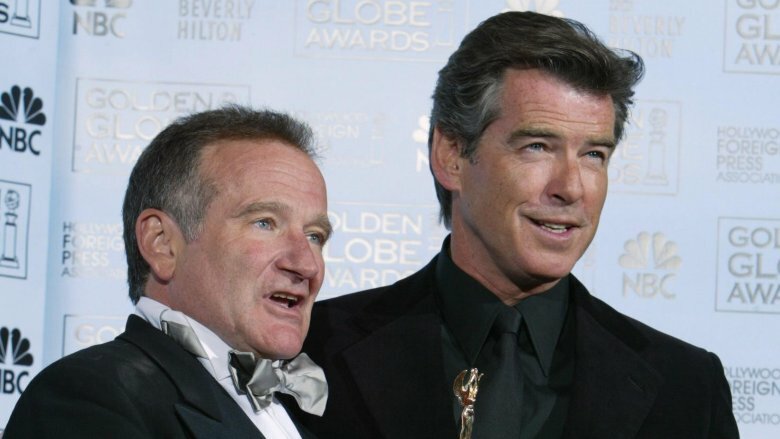 Though they didn't share very many scenes, Brosnan recalled the first time he met Williams to Us Weekly, while discussing his reaction to the funnyman's tragic death. "I walked into the trailer and there was Robin in a pair of Ugg boots, hairy legs, shorts, Hawaiian shirt and hairy chest," Brosnan said. He described the shoot as "the time of [his] life," adding, "Every day was just sheer magic with the man." Williams took his own life in 2014 following a series of personal and professional setbacks, not to mention grave health issues of his own. According to Vanity Fair, Williams had something called "Lewy body dementia, an aggressive and incurable brain disorder that has an associated risk of suicide" which wasn't diagnosed until after his death. Reacting to Williams' passing, Brosnan told Us Weekly, "It really has cut deep into all our hearts that he is gone and that he suffered in such pain, and said, 'Enough, enough.' He will be loved forever and missed forever." Despite big success at the box office, Brosnan claimed he was insecure as the character James Bond. It's hard to believe because he played the British crime fighter in four movies — GoldenEye (1995), Tomorrow Never Dies (1997), The World Is Not Enough (1999) and Die Another Day (2002). According to The Telegraph, Brosnan refused to watch any of his past Bond films with his sons. "I felt I was caught in a time warp between Roger [Moore] and Sean [Connery]," Brosnan said. "It was a very hard one to grasp the meaning of, for me. The violence was never real, the brute force of the man was never palpable. It was quite tame, and the characterization didn't have a follow-through of reality, it was surface. But then that might have had to do with my own insecurities in playing him as well." When flat out asked if he's ever watched any Bond film he starred in Brosnan didn't hold back. "I have no desire to watch myself as James Bond. 'Cause it's just never good enough," he said. "It's a horrible feeling." According to Box Office Mojo, his Bond films have earned over $500 million in the U.S. alone. That seems… pretty good. Perhaps there's a slightly more tragic reason Pierce Brosnan doesn't like revisiting his time as 007. In his own words, according to the book Some Kind Of Hero: The Remarkable Story of the James Bond Films (via The Guardian) — he was "kicked to the curb." 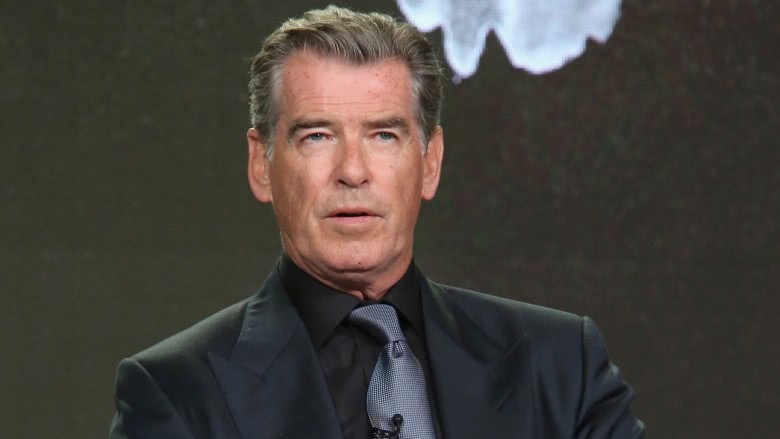 During negotiations with producers Barbara Broccoli and Michael Wilson, Brosnan said he was left "utterly shocked" after an awkward call during which Broccoli "was crying" and Wilson "was stoic." Brosnan recalled them saying, "We're so sorry. You were a great James Bond. Thank you very much." He simply replied, "Thank you very much. Goodbye." Thus ended Brosnan's run as the greatest MI6 agent of all time. 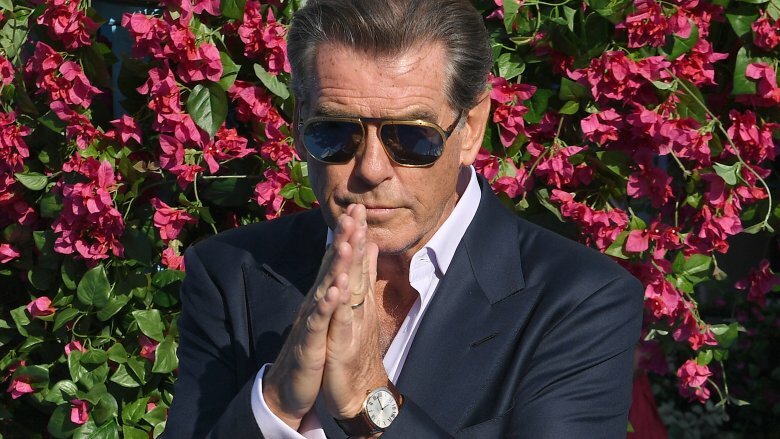 As blindsided as Brosnan claimed to be, the book's authors alleged that he was asking for too much cash for the fifth film. He was eventually replaced by Daniel Craig, who found himself on the receiving end of some pointed Brosnan shade. In 2015, Brosnan said Spectre, Craig's fourth installment, "was too long," but Brosnan wasn't done there. "The story was kind of weak — it could have been condensed," he dissed to HitFlix (via UPROXX). "It kind of went on too long. It really did." By the time Pierce Brosnan spoke with Esquire in 2017, he'd seemingly lost a certain zest for life. "I don't look at the cup as half full, believe me," he told the mag. "The dark, melancholy Irish black dog sits beside me from time to time." At the time of the interview, he said his days were only "full in a leisurely sort of way." The action star explained, "This morning I worked out, read The New York Times, enjoyed watching my wife in the editing room." When he's not puttering around the house or acting in decidedly less-notable-than-Bond-fare, Brosnan can be found with a paint brush in his hands. In fact, he developed the impressive skill when he was trained as a "commercial artist" in London, according to the New York Post. Though he took up the craft in 1987 for professional reasons, he later returned to fine art to cope with emotional times. "I got up one night and I started painting," he told Reuters of how he dealt with his wife's cancer battle. "I went to the painting to express pain, emotions — to put down the agitation of the heart and out came color."